With true reflection of Dr Martens styling, this unisex 8053 5-eyelet shoe combines genuine Vintage smooth leather uppers with a padded collar to create the recognisable Docs 8053 profile. The Dr Martens 8053 unisex shoe is crafted from Vintage leather in Butterscotch brown, a retro version of Dr Martens' classic, highly durable leather with a soft sheen. This shoe features everything you would expect from a British Icon including Dr Martens famous air-cushioned sole, goodyear welt with yellow z welt stitching. 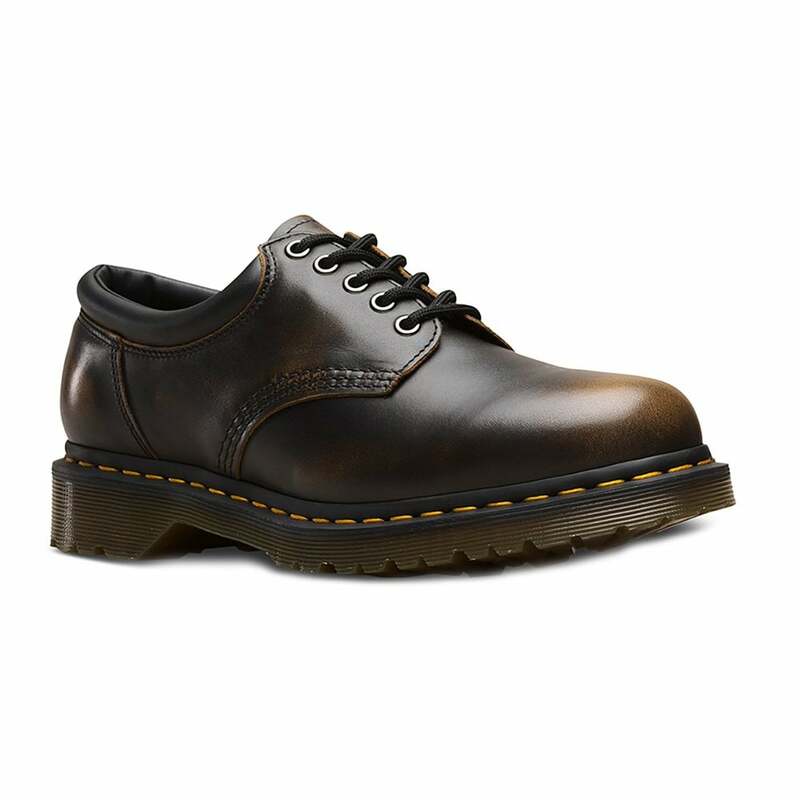 A perfect shoe for anyone who wants style and quality - get your pair of Dr Martens 8053 Unisex 5-Eyelet Padded Collar Shoes now!